The last place where a child should be is on a battlefield, but over the course of our history, children have often been forced by circumstance into the crucible of battle. Children who, in their naive innocence, would go behind enemy lines in order to collect information or get actively involved in battle, putting their own lives on the line. For them, even death was just another game, and Maria Zaharia was one such child. 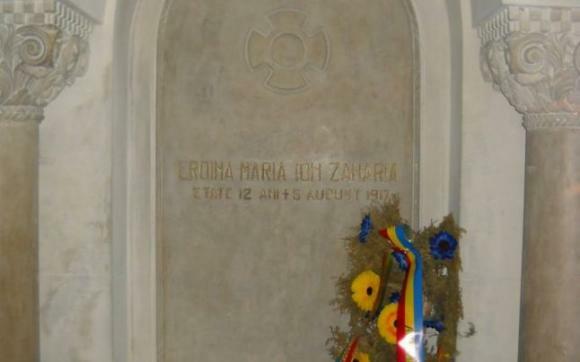 The 12-year-old girl lived with her grandfather, Ion Zaharia, in the village of Haret, near Mărășești. With the outbreak of the First World War and the defeat of the Romanian army in the 1916 campaign, the surrounding area of ​the village and its forest was disputed by German and Romanian troops. In her grandfather’s backyard an observation post was put in place to direct Romanian artillery fire. In the event of an attack by German forces, the soldiers had to transmit the coordinates, and the artillery batteries would open fire and barrage the enemy, weakening their ranks. Several times, these soldiers had to call down artillery strikes on advancing German troops, while the little girl stood by their side, watching them carefully. Soon, she got the hang of it. She also used to climb the observer’s nest, and he would show her, through his binoculars, the German positions. On one occasion, the little girl notices enemy troops advancing by the tree line and warns the observer, who calls in an artillery strike and forces them to retreat. However, the stalemate couldn’t last. Ten days later, an all-out attack is launched by the Germans. They finally pinpointed the place where the Romanian observation post was and started their own artillery barrage, while the German soldiers came out of their trenches. The Romanian soldiers are ordered to remain in position and to continue sending coordinates for artillery strikes, while a counterattack was being prepared. For two hours, the soldiers stood their ground, while the Romanian artillery fired continuously, greatly hindering the advance of the German units. However, the observer is eventually killed by German fire, and Maria, seeing him die, climbed up the tree and started informing the field telephone operator of enemy troop movements. When he too is injured by shrapnel, she takes his field telephone and to the astonishment of the artillery officer, warns him of the dire situation, as shells were exploding all around her. When Romanian reinforcements finally arrive, Maria informs the artillery officer to watch his fire as to not hit them. The scattered German troops begin their retreat, but a stray artillery shot kills her. Her last words were heard by the artillery officer. She was glad that the Germans were fleeing. The German attack on that section of the Răzoare forest was hindered in a moment in which it could have posed a serious threat, as Romanian units were stretched thin and badly needed in other parts of the front due to the coordinated offensive of the Central Powers. Because of this the Romanian counterattack came late. 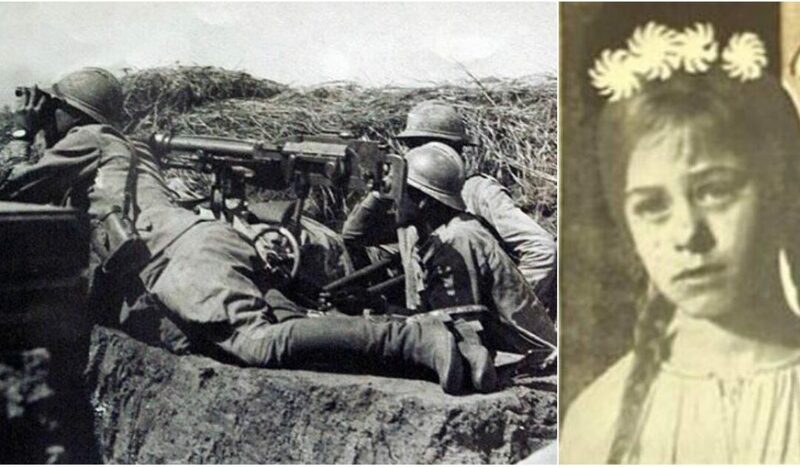 In honour of the sacrifice made by the little girl, her body was interred at the Mărășești Mausoleum, with other great heroes of that battle, such as Captain Grigore Ignat, who was killed with almost all of his men trying to stall the German advance on Hill 100. In front of the school in Haret a monument was also raised in her memory after the war.